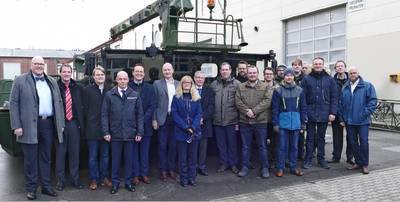 General Dynamics European Land Systems-Bridge Systems won a contract to develop a multi-functional, modular floating platform known as Pontoon Boat (PoBo). The project was awarded under the Innovation Program for the Support of Diversification Strategies of Defense Companies in Civil Security Technologies, or DIVERS. DIVERS is a program launched by Germany’s Federal Ministry of Economics and Energy (BMWI), with VDI Technologiezentrum GmbH as the responsible project executing agency.